When Women, Educational Policy-Making and Adminstration in England (co-edited with Sylvia Harrop) was published, the role of women in policy-making had been largely neglected in conventional social and political histories. This book opened up this field of study, taking the example of women in education as its focus. It examines the work, attitudes, actions and philosophies of women who played a part in policy-making and administration in education in England over two centuries, looking at women engaged at every level from the local school to the state. 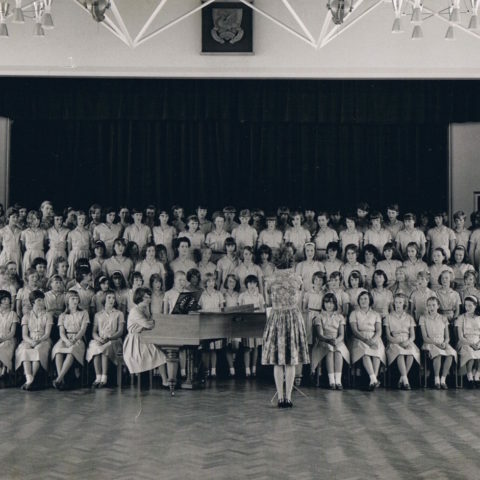 Women, Educational Policy-Making and Administration in England traces women’s involvement in the establishment and management of schools and teacher training; the foundation of the school boards; women’s representation on educational commissions, and their rising professional profile in such roles as school inspector or minister of education. These activities highlight questions of gender, class, power and authority, and illuminate the increasingly diverse and prominent spectrum of political activity in which women have participated. Goodman, Joyce, and Sylvia Harrop, eds. 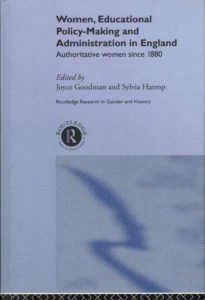 Women, Educational Policy-Making and Administration in England: Authoritative Women since 1800. London: Routledge, 2000.